While I love Pathfinder (and D&D 3.5 and its predecessors), I also admit that writing creature stats for it takes a good amount of time. 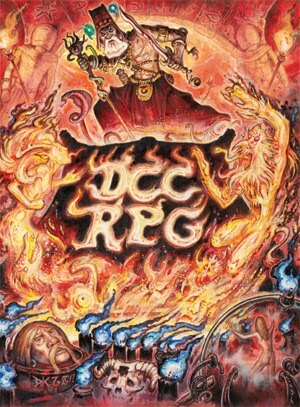 In this regard, the 4E of D&D really hit the mark for me. Don’t get me wrong: I like the detailed stats of monsters for Pathfinder (and I LOVE the Pathfinder Bestiary), but my actual campaign just reached 10th level, and is getting harder to write NPC stats for critters and other unnamed (and unimportant) opponents. So, what I want? 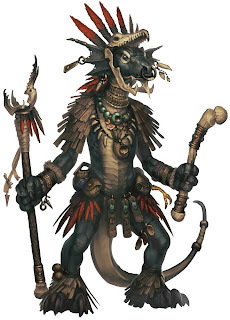 Basically, I want “Pathfinder-options” for players characters (and the most important adversaries) but “4th Edition simplicity” for lesser monsters and NPCs. I’m not a very rule-minded DM. I don’t want to create a new system for generating monsters. And normally I just don’t care if NPCs and monsters are following any rule or feat. If they work and if the game is fun: I’m satisfied. And I just want to spend less time writing stat blocks and more time writing adventures. And I also want a way to quickly creature a more customizable creature. How to do that? I don’t have a clue, but I hope to reach an acceptable solution using the “Table 1-1: Monster Statistics by CR” of the Pathfinder Bestiary (p. 291). I’ll try to post some critters using this approach in my next post. P.S. 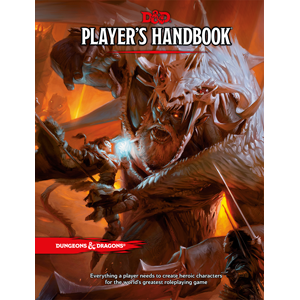 : Just to let clear, my players don’t like D&D 4th and really like Pathfinder. While I like both games, I admit that Pathfinder is closer to my idea of a “D&D game”. And yeah, that is just MHO.